A fundamental economic theory is that a monopoly is a bad thing. When one company, website, or brand dominates the market, consumers are left with unfair pricing, mediocre to poor quality products, and an inability to choose an alternative. In order to prevent this, the U.S government has a myriad of laws to protect us. Unfortunately, natural monopolies tend to form no matter what, and for much of the technology boom of the past century, that company was Microsoft. However, times have changed, and with Apple’s growth and Google’s steady rise to dominance, the Windows manufacturer began to face serious competition. Looking at the relationship between these three corporations, I will explore how one monopoly has died, why Apple’s is now becoming one, and more importantly, the implications for the future. Relatively uncontested for much of its early years, Microsoft was–and still is–the most popular operating system in existence. Crushing Linux and Apple for decades, Microsoft was essentially a monopoly. Left unrivaled, this led to minor updates in their software, but little to no innovation. Unfortunately, computer users were left with buying each iteration of Windows 95, 98, ME, CE, XP, and so on because there was no true alternative. Microsoft rested on its laurels and continued to turn profits. However, with the arrival of the 21st century, that all changed. The iPod, the popularity of the MacBook, and/or Mac OS 9/X are just a few unique factors that allowed Apple Inc. to become a real contender in the technology war. However, they all share one thing in common: creativity. All of these products came from great ideas that were properly executed and finally gave consumers a choice. Microsoft’s response, unfortunately, came in the form of Windows Vista which was buggy and copied ideas from its fruit-named competitor (Apple’s beach ball and Vista’s color wheel being my favorite one). The lack of any real substance caused Windows to falter, and in early 2010, Apple officially overtook Microsoft in terms of market value. It would seem that the monopoly was over. However, what is most peculiar is how the future seems to be a little bit different and yet shockingly similar. Looking at Apple’s two operating systems, the iOS and the most recent OS X Lion, the company is definitely adopting the idea of updating their software that gave the Microsoft of yesteryear consistent profits, but unfortunately, innovation is starting to be slip away. iOS was revolutionary in its inception, but four iPhones and two iPads later, the operating system is no longer changing the game. Moreover, OS X Lion adds a large list–about 250–upgrades that are supposed to allow the desktop operating system to merge seamlessly with their post-PC products together. However, they have been updating OS X since 2001, and many of the new upgrades are cool but not really worth shelling out the extra thirty dollars for a few new perks. I am left wondering why they can’t create a new operating system instead of building on something that is almost 10 years old. It seems that Apple is now just polishing the jewels of their company rather than going back to work on creating a new gem. Sound familiar? In contrast, Microsoft is now on the defensive. They are realizing that they cannot mimic their competitor and must now innovate in order to maintain market control. 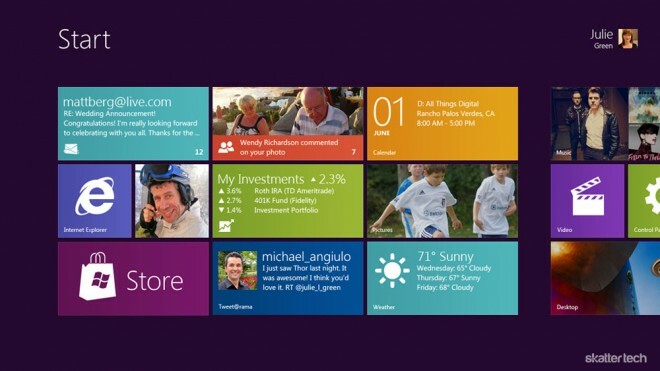 Although Windows 8 is not out yet, it certainly looks to be a very different user experience than anything PC users know. Yes, it is similar to the UI of their Windows Phone, but what is key is that they are stepping away from what was once normative and are choosing the possibilities of uncertainty that could lead to a great, new product. On the phone front, Google is attacking Apple’s previous monopolization of the smartphone market for less than half a decade, but because their OS is being incorporated into so many different phones, consumers can now choose exactly how they want to experience Android. The fact that Android has grown so quickly and is outselling iPhones is a testament to consumer’s desire to stop investing in a slightly upgraded version of their old iPhone. Although many might argue that this is simply because there are more phones that use the Android OS, I believe that is a weak point of contestation. After all, if Android chooses to make their OS available on Thunderbolts, Incredible 2’s, and Echoes this means that the consumer is given a choice to get the perfect Android phone for them. Microsoft seems to be aware that they need to change their business and R&D model if they want to excel, and thankfully, they are. Windows 8 seems to be a new experience that really steps away from 7, Vista, or the 90’s family of operating systems. Google is also growing as a creation machine. With the recent launch of Google+, I believe that Android phones will possess a huge edge in integrating social media elements once Google+ inevitably becomes the next legitimate rival to Facebook. Moreover, because Google owns Android, the Menlo Park based company can begin limiting iPhone accessibility to Plus features like Hangout. Although, this could create another shift allowing Google to start walking a path toward monopolization as well, but only time will tell how Google, Android, and Google+ will grow as a trifecta. Currently, the torch is being thrown to Apple. Over the years, they have become what Microsoft once was. Gate’s company failed miserably with Windows Vista, which allowed Apple to capitalize, but they are too content with their success. Unfortunately, this is again leading to more style over substance and the iOS developers are banking on their fanboys to continue to support them. However, when Microsoft reached this point, the MacBook and iPod arrived to take them down from their pedestal. Now, Apple faces two critical battles, and I hope that they will announce the release of OS 11 or something truly innovative from their camp because time is ticking. They need to realize that they must create to stay relevant in the game. this is on hell of an subject i really like it and thanx for pointing out the real face of Apple coz when it comes to their IOS it’s not than great after the update to Lion it’s still the same .. beat OS now is android when it comes to phones and Tablets and Winodws to PC .. I see three glaring errors in your assessment. First you complained that the iOS and OSX Lion are no longer innovative, but merely upgrades. Well… Just how often do you expect this huge game breaking innovation to occur? Let’s be realistic. The iPad, the iPhone, and the iPod are three of four real game changers in the past 10 years. The wii being the fourth. Regarding the Android phone you said, “The fact that Android has grown so quickly and is outselling iPhones is a testament to consumer’s desire to stop investing in a slightly upgraded version of their old iPhone.” Hmmm… news to me. Did you mis Apples last financial report? Android buyers are not former iPhone owners. And you are comparing Android OS sales with iPhone hardware sales. Not the same. If you used that same method of comparing Apple and Microsoft you would conclude the Windows is outselling Macs. Second, you wonder why Apple can’t make a new operating system. With just a little bit of vision you could see that Apples new OS will be so radical that it will need a new PC. Why do you think Apple introduced the Magic pad and then introduced gestures in Lion? In a year of two the new iMac will ship without a mouse of keyboard. A giant iPad with a stand. The newest iMac comes with no Optical drive! Remember when the first iMac shipped with no floppy and no SCSI or parallel ports? Just USB. At the time it seems dumb, they were shooting themselves in the foot. Now? They are saying the same thing again about the iMac and no CD/DVD drive. And lastly, the assumption that one must or will monopolize is wrong. 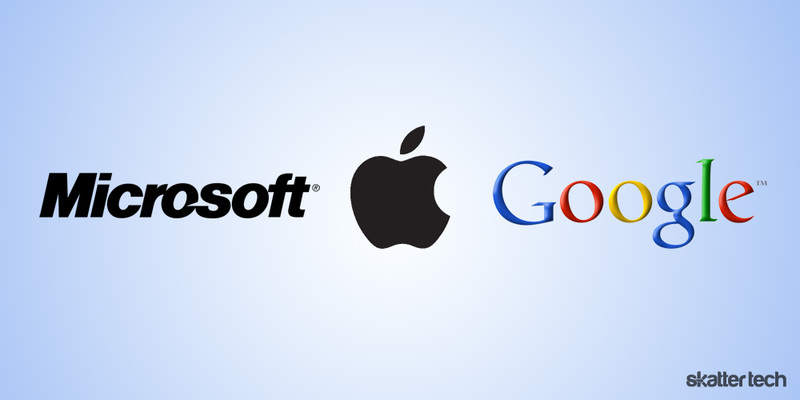 If Microsoft recovers, and Google and Apple continue to be creative then we will all win. I expect Microsoft to continue the lead on the gaming front. 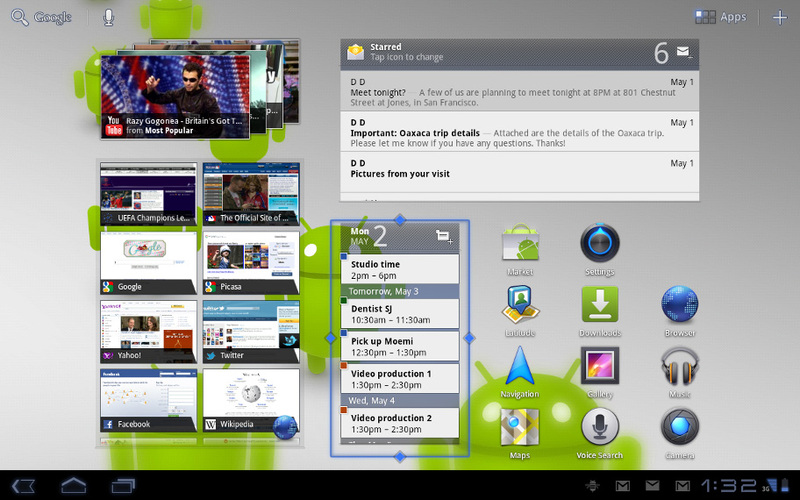 Google should take a commanding lead on the smart phone OS front just as Microsoft did with Windows. 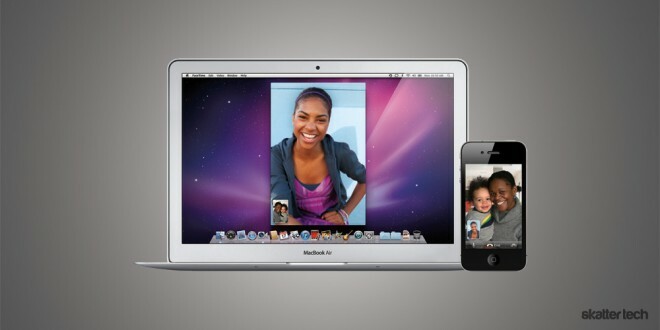 Apple will continue to innovate while rarely gaining major market share. The biggest unspoken battle is growing in the living room. That battle will be fought by Apple and Microsoft. In five years I see the cable and the dish replaced by either Microsoft’s new version of the xbox or Apples effort to combine the mac Mini and the AppleTV into a stand alone entertainment center. This along with your last two paragraphs are things I completely agree with. As the article stated, Apple truly has innovated some of the best consumer electronics and challenged Microsoft’s control of the market. It is a testament to the origins of the company’s desire to create rather than replicate that makes it such a subject for debate. Whether or not this is true or Apple goes with something entirely different, I do believe that Apple will release something new that will be a surprise for consumers. Their origin was once creative innovation, but that well was slowly drying up. However, with Windows 8 and Android, I’m glad that Apple, the former challenger, is now being challenged. And yes the living room battle will be an interesting one especially with things like OnLive, Xbox’s attempt at becoming a full media center, and, as you pointed out, mac Mini and AppleTV. Thanks for the read, Art. And I thoroughly enjoyed your reply. You may laugh, but so did I when on several occasions, after extended sessions on my iPad, my hand went first to the screen rather than the mouse or touch pad when I was on my desktop. A keyboard is the only way to go when inputing volume. The mouse is the only way to go when needing to manipulate in detail. That said, once you get used to interacting with your computer via touch, it is clearly the most pleasant way to interact with your devices. It’s more like a joke to me.. seriously?? have you not noticed?? iphone, ipod touch, ipad are all the same!! ipod+phone functionality = iphone!! waahh!! everyone impress..
or maybe you rather said ipod is equal to iphone without phone functionality..
and then came, a bigger ipod!! lol.. I never thought how dumb people are.. what’s next?? iMat?? or should I say big iMac?? they just never see how Apple really does “innovate”.. all because of that “marketing”.. iCloud?? too late.. notifications?? too late.. I don’t see Apple will dominate in these coming decades.. Enterprise will always choose either Windows.. or linux for server.. except video editing company.. seriously, I’ve never seen enterprises/people uses mac other than for final cut, etc.. I have an iPod.. but that doesn’t mean I’ll be Job’s slave.. I buy a product coz it’s good, I’ve done some research, blah2.. but I won’t buy and iPad, or a macbook, or an iMac.. cuz I don’t need it.. I just need some good portable entertainment and that’s all.. I don’t get why people would buy such overpriced product for trend.. really?? Well, it seems you just don’t get it then? Apple and Steve Jobs have been around for a long time. Ditto with Bill Gates and Microsoft. Apple led the world in PC creativity, but only had from 5 to 8% market share. Microsoft almost controlled the PC world by getting their OS on over 90% of the entire wolds computers. Apple has had Jobs charisma, it’s cult followers, and a pretty good advertising program for years. But still they remained a fringe player. Something happened and it was not Jobs, cult, or marketing. People stopped getting free music online and started paying for it on iTunes. Why? Apple comes out with a smart phone, their first effort, and it sky rockets and everyone is copying it. Why? iPad comes out and it explodes. Why? If you still think it is just Jobs, cult zombies, and slick marketing … Well, there may be no hope for you? ;( Macs sales are doing well, but it was just Jobs Charisma, Cult zombies, and fantastic marketing that is the cause of this madness, then why are most of those buyer waking in and out of Apple stores with iPods, iPhones, and iPads under their arms, but no Macs, no Cinema displays, and no AppleTV’s? My wife works on the road. She has no office, just a desktop PC in the living room and her blackberry. Most of her communications were done on the blackberry. Then in the evening she came home and did her billing on the desktop. She bought the iPad. At first she kept the blackberry to do her texting, emails, and the maps for navigating on the road. The iPad eliminated the need for both desktop and smartphone. Now her billing is done before she gets home. All emails and texts re pushed to the iPad. Not even mentioning her downtime in between jobs. Facebook, Angry Birds, and Netflix. Apple has proven with all of those products that there are more important things than features and a down and dirty price. Learning curve, simplicity, and the general pleasant experience should not be overlooked, or as some do, ignored completely. In next 20 years, we are going to have new costumers that use touchscreen and never used a keyboard outside the screen. Thats the rule. Finally, someone who can actually see the future! Jobs already lost to Android the same way he did to Windows: By trying to lock the whole market down and maximize profits. Retarded he can’t learn in over a decade! I agree with most of these trends. But would like to add one more addendum: Apple is starting to sue a lot more. As it turns out, Microsoft rose to fame one way by buying out competition. The other was to sue others to bankruptcy (that list is not exhaustive). Even if Microsoft lost many of its battles, their contenders would have lost so much money winning, that most of them failed anyway. Also, they spent so much money/time defending themselves, they could not put money to R&D during that time; Microsoft could, and ended up beating them anyway. Apple is suing a lot more, one reason is because it causes other companies to have to “pause” and fight back. But they also sue larger companies like HTC, Motorola, Microsoft, Google, etc. These lawsuits seem frivolous, but then again, they go both ways (Microsoft sues apple, HTC counter sues Apple, etc.). But when Apple sues smaller companies, they do the same thing that Microsoft did back in the days of yore, they beat out competition. they are becoming bullies. Either way you look at it, Apple is the new Microsoft. They might not have an exact monopoly yet, but they sure ACT like they do. They sue everyone in their way, they only innovate ONLY when under competition (though, this one is common for everyone to do when they are a step ahead), and they generally oversell each and every version of everything they have, even though its not that different from before (something Microsoft has been doing ever since they pushed to a GUI). Google hasn’t had these trends yet because they aren’t a monopoly in the big markets (they have ruled the search market for awhile, however). If Google ever reigns supreme with a particular market, you will probably see a lot of these signs with them as well. Anyone interested should look up a recent PBS program last week about how the current IP suing mentality (Google, Apple included) is stiffling innovation.